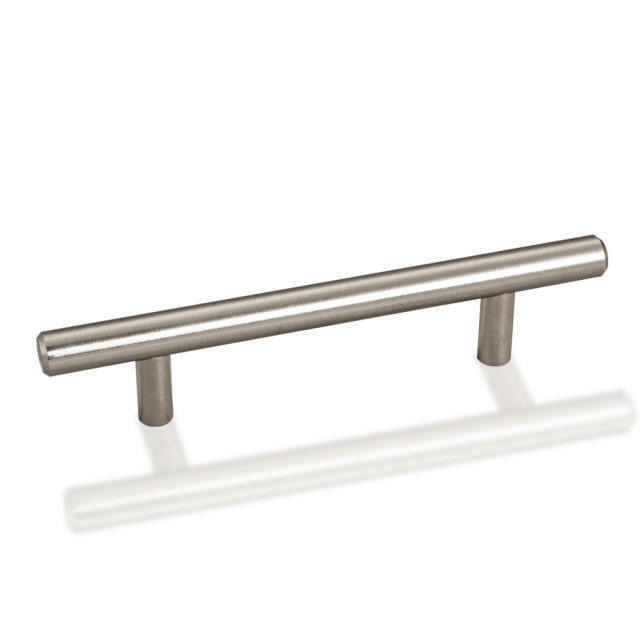 154mm overall hollow stainless steel bar Cabinet Pull (Drawer Handle) with Beveled Ends. Holes are 96mm center-to-center. 7/16" Diameter. Packaged with two 8/32" x 1" screws. 154mm overall hollow stainless steel bar Cabinet Pull (Drawer Handle) with Beveled Ends. Holes are 96mm center-to-center. 7/16" Diameter. Packaged with 10pcs in blister pack with 20 8/32" x 1" screws. 156mm overall bar Cabinet Pull (Drawer Handle) with Beveled Ends. Holes are 96mm center-to-center. 7/16" Diameter. Packaged with two 8/32"x1" screws. 174mm overall hollow stainless steel bar Cabinet Pull (Drawer Handle) with Beveled Ends. Holes are 128mm center-to-center. 7/16" Diameter. Packaged with two 8/32" x 1" screws. 176mm overall length bar Cabinet Pull (Drawer Handle) with Beveled Ends. Holes are 128mm center-to-center. 7/16" Diameter. Packaged with two 8/32" x 1" screws. 204mm overall length hollow stainless steel bar Cabinet Pull (Drawer Handle) with Beveled Ends. Holes are 128mm center-to-center. 7/16" Diameter. Packaged with two 8/32" x 1" screws. 206mm overall length bar Cabinet Pull (Drawer Handle) with Beveled Ends. Holes are 128mm center-to-center. 7/16" Diameter. Packaged with two 8/32" x 1" screws.